Orders received prior to 2:00PM PST or 5:00PM ET on business days will ship out the same day. Orders received after 2:00PM PST or 5:00PM ET or on weekends or holidays will ship out the following business day. Business days are Monday to Friday, excluding US and Canadian Statutory holidays. If the parties to be tested live in different cities or even different countries, we can split the kit so that components can be shipped to the test participant at their respective addresses. Once the samples arrive back at the laboratory, they can be tested together, even if they do not arrive at the same time. 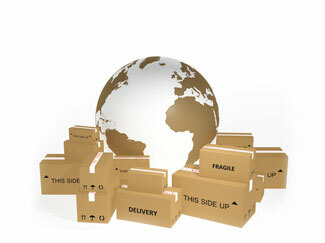 A few different shipping methods are available (such as ground or overnight service). We ship to most countries in the world. Please note that extra shipping charges may apply for international and overseas shipments. The shipping time for international and overseas shipments cannot be guaranteed. Shipments to international addresses can take longer than domestic shipments. If you select the Regular Shipping option for a foreign address, the delivery of the package is dependent upon the rules and speed of the mail system in that country. If you require the package to be shipped to a foreign country by a certain date, please contact us for a quotation for Express Courier delivery services to the foreign address. If an express courier delivery which requires a signature is the selected method of shipping, please ensure that you provide a physical address instead of a PO Box so that a signature can be obtained upon delivery. The delivery time may be more than 10 business days if shipping to APO/FPO military addresses. Online: Testing can be arranged online by using the secure online test requisition form. Genetic studies to date suggest that the Hemochromatosis C282Y mutation first arose in Europe and was spread by Vikings and later by Normans throughout Europe, indicating a genetic link between hereditary hemochromatosis and Viking ancestry. Early signs and symptoms are similar to those of many other common conditions, making it difficult to diagnose. Some people with hemochromatosis do not have any early symptoms. Check the status of your test 24/7 discreetly online. © 2019 Hemochromatosis DNA All Rights Reserved.